PARIS (Reuters) -- French car sales fell 4 percent in October as consumers put off big purchases amid weakening economic confidence, the country's CCFA industry association said today. Registrations fell to 160,162 cars last month, the CCFA said -- the first year-on-year decline since February after adjusting for the number of selling days each month. "We're in a context where all the indicators are pointing to the postponement of purchasing, falling confidence and deflation risk," association spokesman Francois Roudier said. "This is the perfect illustration." France has lagged behind Europe's fragile auto market recovery following a brutal six-year slump that ended in 2013. 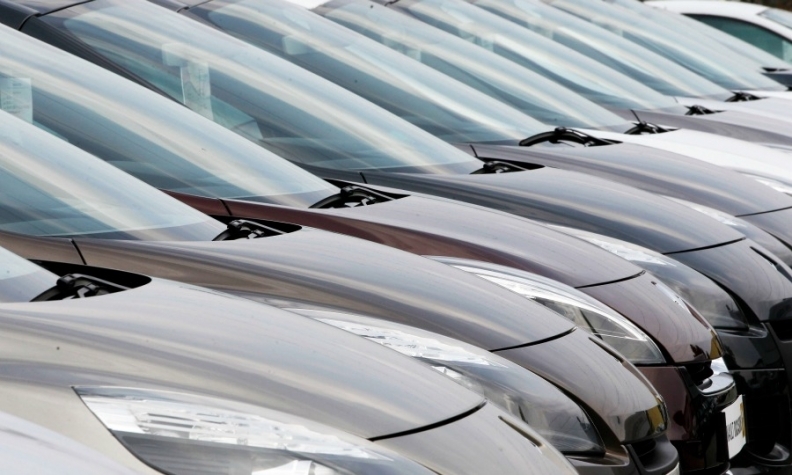 French car sales for the first 10 months of this year are up just 1 percent. Roudier said the CCFA's 2 percent full-year growth forecast would be reviewed in coming weeks. After two consecutive quarters of zero economic growth, French companies and consumers alike are holding back on spending where they can, increasing concerns that Europe could fall into a deflationary spiral. See PDF, above right, for full numbers by automaker and brand. The domestic auto market leaders, Renault and PSA/Peugeot-Citroen, nevertheless put up strong resistance in October with respective sales declines of 0.4 and 1.5 percent. Thanks to strong demand for new models such as the Peugeot 308 compact and Renault Captur small SUV, the two French carmakers have lifted their combined share of the French market to 56.1 percent in January-October from 53.6 percent a year earlier. European market leader Volkswagen Group fared less well, posting a 5 percent decline in French registrations, while U.S. automakers plunged. Ford Motor Co.'s deliveries dropped 7 percent, while the withdrawal of the Chevrolet brand from Europe hit General Motors Co. with a 22 percent sales decline despite the Opel brand's 13 percent gain. French delivery van registrations fell 4.5 percent in October, the CCFA also said, bringing the sales decline for light vehicles overall to 4 percent.